I never really thought much about banisters until my friend Pamela asked me to post about them for a friend. 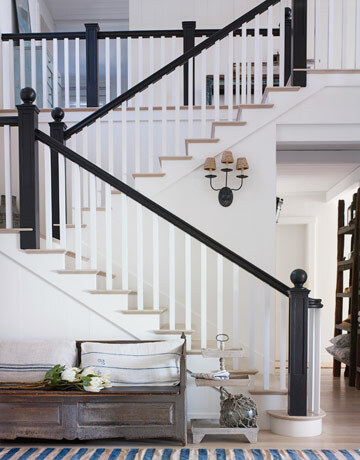 Here is what I think now - I only like really dark wood or black for the banister and white for the poles conecting them to the stairs - The contrast makes it chic. I also prefer curved -it is so much more dramatic. 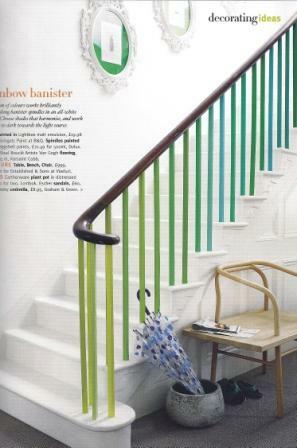 Do you care or have thoughts about banisters - I would love to hear them. 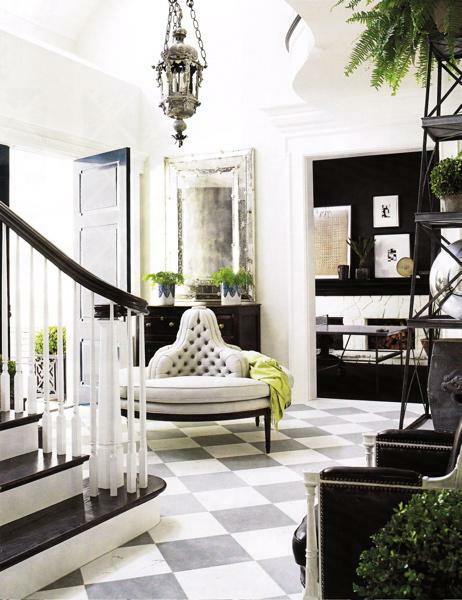 Thomas Britt also designed the Lucite banister which adds a modern touch to the old house. 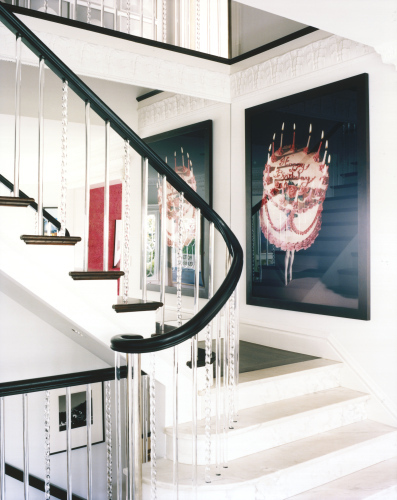 Hanging on the stairs is Walking Cake II by Laurie Simmons. Thank you, thank you, thank you! 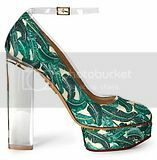 P.
Suze, nice clean looks. I like the uncluttered look. Amazing post! Actuelly I´ve never given much thought to the bannisters until now, but I find them pretty stunning! 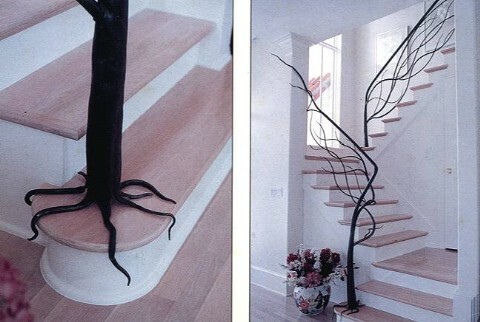 They give such an elegant touch to the staircase! I don't have banisters in my house so I feel like we are on the same page... I don't have an opinion... Bit seeing the black and white is so refreshing! Young hip vibe... No stained wood, thank goodness!!! 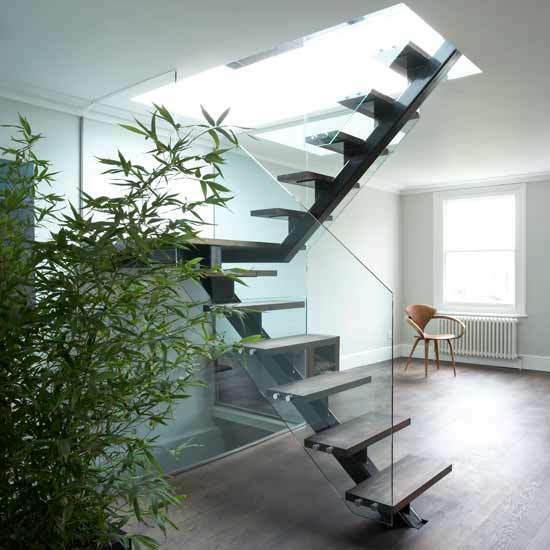 Glass stairs are really nice. I got idea for my house. Thanks.